Like an email list, you’ll need to get your customers to give you permission before you can contact them. In this guide, we’ll specifically go over how to get your customers to opt-in to your SMS list via a text message. In marketing, an irresistible offer (also known as a lead magnet) is anything that your ideal customer will find valuable. You’re going to offer it (usually for free) in exchange for their mobile number. Free content: This includes ebooks, reports, templates, e-courses and guides (like this one). A prize giveaway: Contests with great prizes can be fairly simple to set up and promote. It should be something that’s related to your business or industry. A discount: Everyone loves a good deal when they see one. This works well for retail or ecommerce businesses. The first point is very important. By targeting a specific problem or type of customer, you’re going to have a much easier time coming up with an offer and marketing strategy, which will give you much better results in the end. 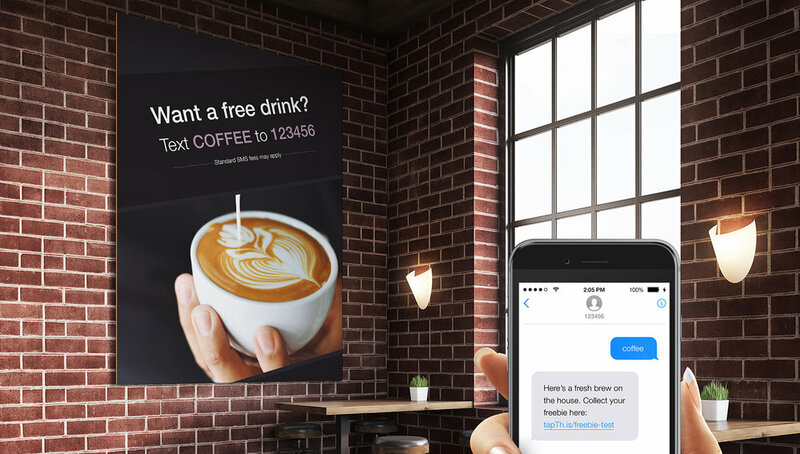 If you plan on letting your customers opt-in via text message, you need an SMS platform like Burst. And all your customers need to do is text in an SMS keyword (that you create) to your dedicated virtual number or shortcode. For example, when your customers' text in "coffee" to a shortcode (e.g. 123456) or dedicated virtual number (e.g. +61 459 333 4444), an auto-response is sent with more information on how to collect their free gift. SMS keywords also have many other features. They act as a prompt for replies and can activate different functions, which include entering a competition, forwarding to an email, group chat, and sending an auto response. If you’re keen on learning more, try our SMS keyword demo by texting 0459 333 444 with one of the following keywords: map, deal, video, app, win, or brad. To give you a better idea of what this might look like and to help you get started, we’ve compiled a few real-world examples. Domino’s Pizza integrated SMS into their online ordering system. Customers are asked for their phone numbers when they sign up and order for the first time. The next time they decide to order, they can text a pizza emoticon or “Pizza” to place their most recent order again. 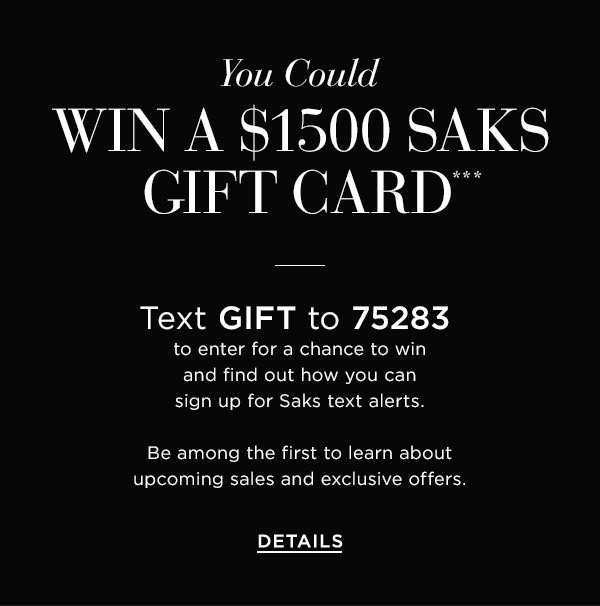 In this example, Saks asks their customers to opt-in to the SMS list by providing a chance to win a $1500 gift card and to be the first to learn about their upcoming sales and exclusive offers on their website. GameStop uses a Facebook post to entice customers to sign up for their SMS list. In this example, they’re giving away membership points and promising special alerts and exclusive offers in the future.